Volunteer with the RV Disaster Corps in times of disaster. 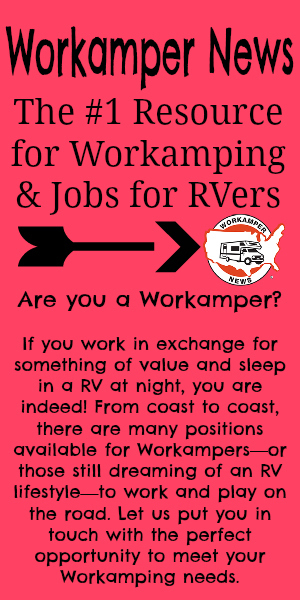 This week’s blog is from the current issue of Workamper News. It won’t be long before the spring storm season is up on us and then hurricane season right behind that! Plus, there are still areas effected by previous disasters that still need help. If you like to help others and want to incorporate your travel too, this is for you! With simple online training you can help provide essential roles to a community affected by disaster. Choose where to go! Choose your length of stay! Choose your level of service! Make the choice to volunteer and help rebuild! In business for just over 3 years, the Recreational Vehicle Disaster Corps (RVDC) is a Texas based nonprofit helping areas across the U.S. in big ways… by training, organizing, and then directing volunteer members into areas impacted by recent natural disasters! Though we cannot control what or when natural disasters occur, we can control how we respond. The Recreational Vehicle Disaster Corps (RVDC) consist of roving volunteers who serve as secondary responders in times of disaster. The members are recruited and trained from throughout the RV community and prepare to travel to disaster areas to meet the needs of helping transition communities into recovery. Because RVers have their own accommodations, our volunteers are able to re-locate to the impacted area without consuming the generally scarce local housings resources, help the local economy by everyday tasks like shopping for groceries and gas in the area, all while actually helping in the day-to-day jobs of rebuilding the community and providing relief for citizens who are not able to fully bounce back on their own. RVDC members contribute in the disaster effected community’s long-term recovery process through civic engagement, economic development, community relations and mitigation. Simple online training prepares all volunteers to complete either skilled or unskilled tasks at each location. RVDC Primary Members (certified): Primary members are trained in basic volunteer reception center operations, donations management, and volunteer management. These activities include client survivor support, data entry, documentation, management, training, project oversight of spontaneous volunteers, and the collection and distribution of donations. These positions can transition from volunteer reception to long-term recovery settings and may evolve into leadership roles based on need and experience. *Certification earns each RVDC member 2 hours of service time. RVDC Auxiliary Members (non-certified): RVDC Auxiliary activities include general volunteer support that could include serving as a site runner, greeter, planning or assisting with special events and civic fundraising. Volunteers may provide assistance in group activities, mitigation, public relations, producing personal and household needs, serving meals, contributing to local newsletters, and providing entertainment. Can you help serve meals, register clients, be a greeter, answer phones? Do you hand-make personal goods for others, provide entertainment, assist with special events? Under leadership, can you help with light construction, paint, operate a hammer or a saw? Can you assist with cleaning out debris, measuring materials, or evaluating housing needs? Sure you can! There is truly something for everyone. Just about any talent or skill can be put to good use, and your unique skills and experiences will make a real difference to the people and the communities you serve. Survivors of Harvey, Irma, Michael and the recent wildfires all still need help and assistance to get their lives back to normal. With this extended need for community support lasting many months after the disasters hit, your donation of time and service are both needed and welcome throughout the year! Make a Difference – Volunteer Today! The opportunity to serve may be as short as a week or less, or extended to as long as several months. Your service time is totally up to you. However, with that being said, it would maximize the benefit of your deployment if you could consider a minimum service period from one to two weeks. Volunteer Reception Center Operations is about a 50-minute course with four modules. Each one includes questions. Upon successful completion a certificate will be issued to you and recorded in your training history under My RVDC. The training course can also be mailed to you upon request and completed through mail correspondence. What are my out-of-pocket expenses, meals, etc? Each volunteer is responsible for their transportation, meals and living expenses. However, a number of organizations support volunteers by providing meals and possibly help with camping fees. Feel free to participate in these opportunities to interact, share and serve with fellow volunteers, service organizations and disaster survivors. Where do I park my RV? In the event of a disaster, RVDC will identify campsites near service areas and will make this information available to you. However, we will provide these sites as suggestions and you are free to choose your own RV camp site. Can I do something else while I’m on site? While RVDC is training you to serve in the Volunteer Reception Center, you may find another opportunity once you are onsite. We want you to be fulfilled and have meaning in your volunteering role with RVDC. You may become aware of needs in the community that interest you and/or may be uniquely suited for you. Communicate with the VRC Director regarding your desires to serve in another volunteer capacity. How do I find out about a disaster? Once a member of the RVDC, you will receive email communication from RVDC staff notifying you of service opportunities. Also, you may become aware of disasters through the media. Contact us if you would like to serve at a site, if we haven’t notified you. No. We have no minimum or maximum service opportunities that you have to respond to. Complete the online training provided after you successfully login to MyRVDC. Keep your information up-to-date, so we can communicate with you in times of tragedy. For more information email jallnut@rvdisastercorps.org or go to the website at www.rvdisastercorps.org.